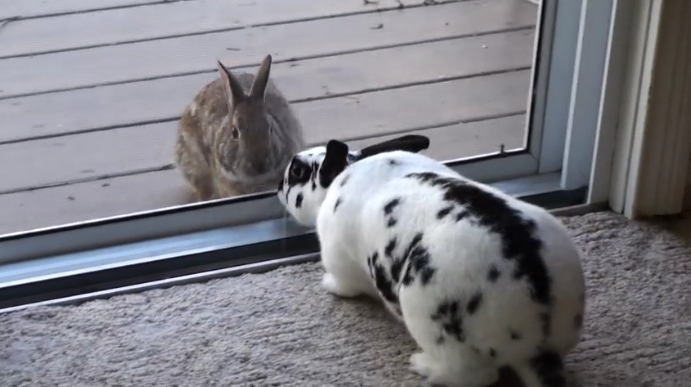 This heartwarming video shows the moment a wild rabbit spotted a beautiful pet inside a house - and is immediately smitten. 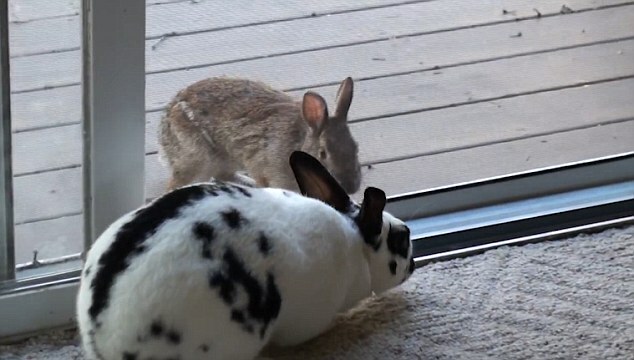 In the clip, the pet rabbit - named Pep - is seen gazing out of the window. As she peers outside, she eventually spots the wild rabbit sitting on the patio. In the affectionate scene that follows, the two rabbits try to nuzzle one another through the glass window. 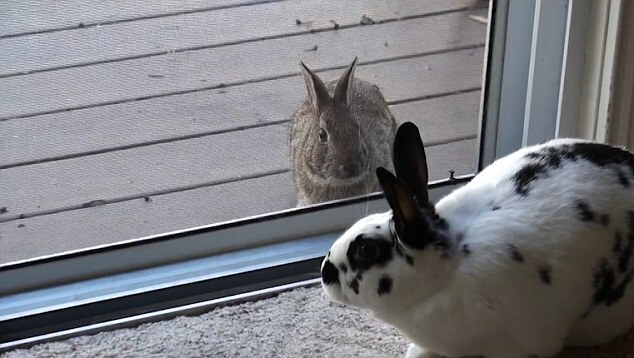 As the wild rabbit struggles against the barrier in front, it grows increasingly restless and scampers around the patio. It then rears up on all fours against the glass, as it desperately tries to reach Pep. The two rabbits then try to nestle up to one another through the window again. 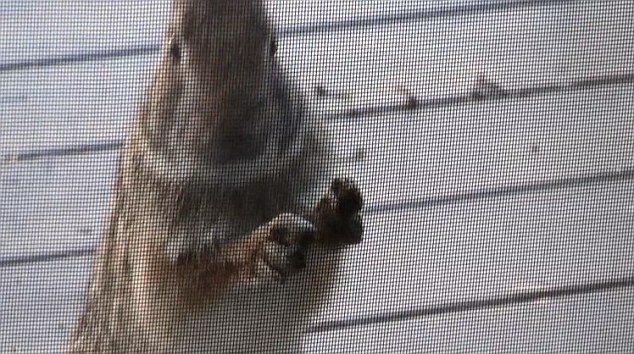 After more than six minutes of their playful games, the wild rabbit eventually leaves the patio and in the final shot, Pep is seen staring wistfully out the window. Responses to "Wild Rabbit Spots A Beautiful Pet Bunny And Falls Madly In Love"